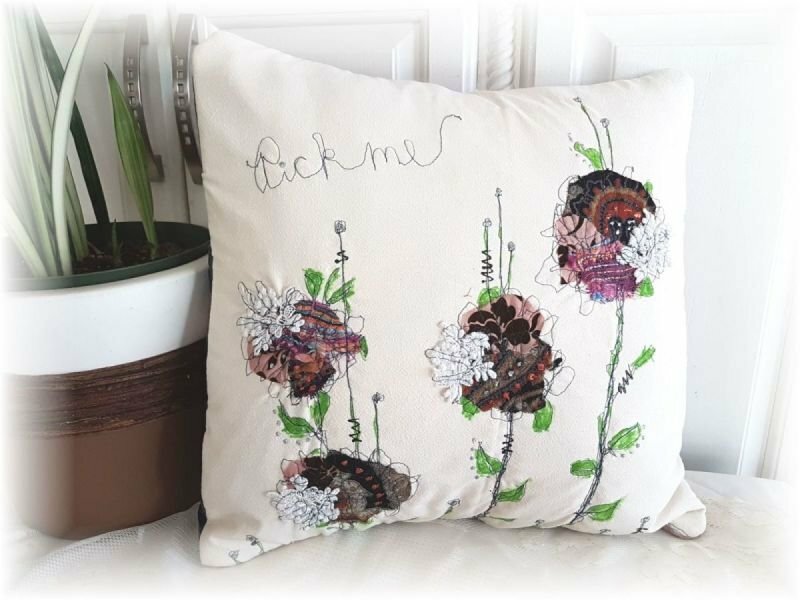 Free form machine top stitched pillow on vintage muslin fabric, and includes the pillow insert. One button closer on the back. Measures 16" x 16".